Wouldn’t it be nice to be able to move the objects around you? 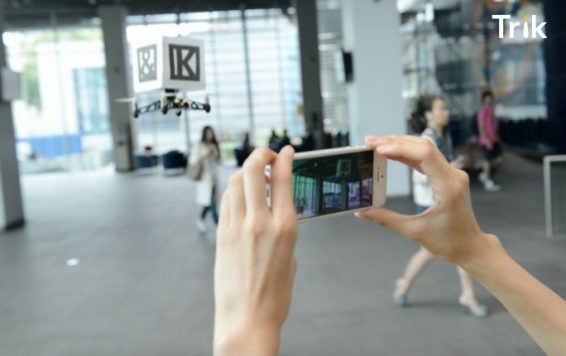 TRIK captures that amazing feeling of living in a magical world and brings it to the palm of your hand. Forget the typical joystick controller that doesn’t seem to move the object the way you want. With TRIK, you only need to look and point.TRIK enables you to send a robot to any desired location, regardless of where you are or where the robot is. 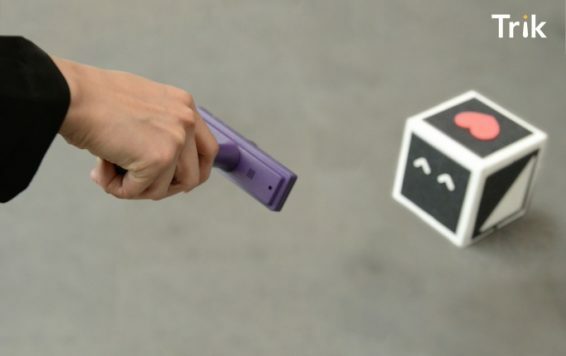 With the tip of your finger, you can command objects around you. Like magic! 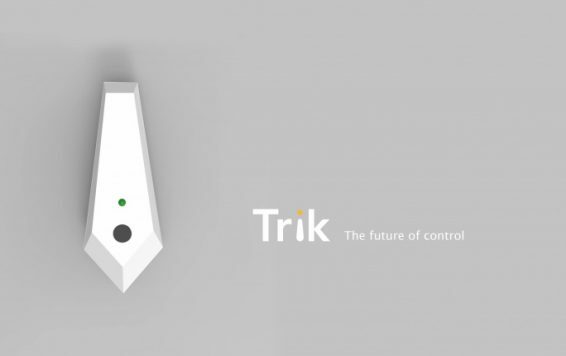 Trik is an innovative controller that works like a wizard’s wand. 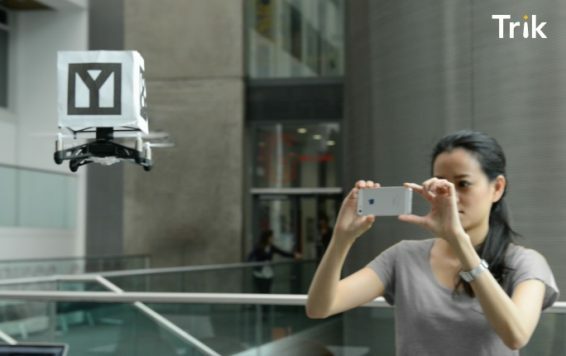 It acts as an extension of your arm that allows you to point and send objects to anywhere, either on the ground or in mid air. Technologies are useless unless people can use them. Remote Controlled Vehicles (RCVs), eg. drones, robots, have become more advanced and affordable. However, they are still very hard to control, and thus, they are not widely used in the real world. The ability to control an RCV depends on good spacial reasoning and hand-eye coordination. You may be able to visualise the path of a drone flying in a circle, but that doesn’t mean you can actually control it to do so. Current controllers have been hindering the true potential of human imagination. 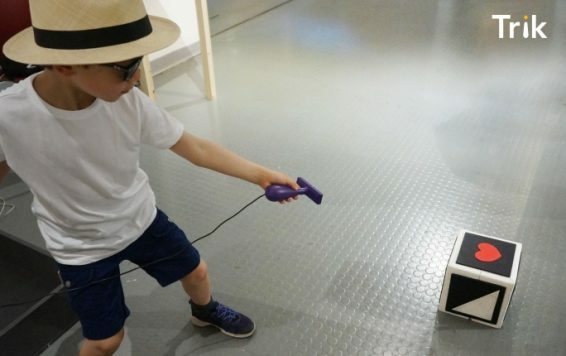 I wanted to create a controller that is so intuitive any child can pick up and use it. Trik works like a wizard’s wand. You can control any object simply by pointing. 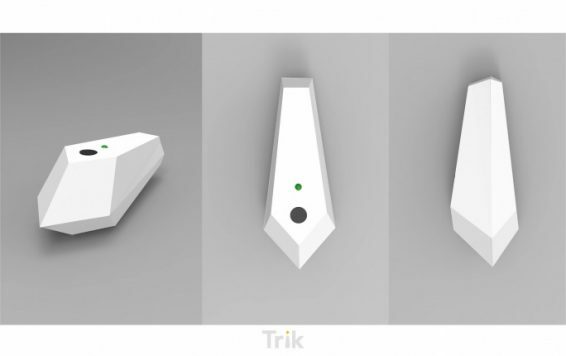 Trik has two main features: Point&Go and Follow Me. Point&Go: With the Trik controller, point at the desired RCV. Press the button to select the object. Move the Trik controller and point at the desired location. Select the destination and the robot will proceed to that spot. Follow Me: With the Trik controller, point at the desired RCV. Hit select to lock onto the object. The RCV will now track your movement as you move the Trik controller around. Trik detects an RCV and pinpoints its location (with your position as a frame of reference). It then identifies the area you are pointing at in space. The system calculates the optimal route and sends a command to guide the object to your desired location. I set out to create an affordable replacement for a controller which requires minimum modification to an off-the-shelf Remote Controlled Vehicles (RCVs). I used computer simulations to collect data on how people use their hands to move and identify destinations in space. An algorithm was created based on this data and was used to make several working prototypes which included controllers for remote controlled cars and flying robots (or drones). 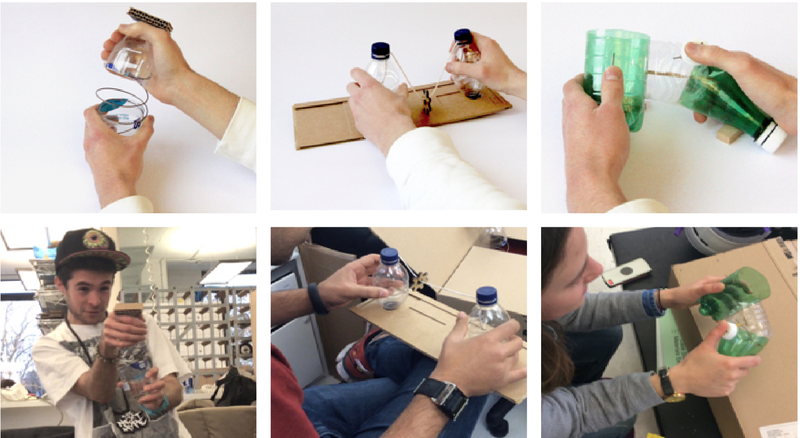 Several controllers were created to test the accuracy of the algorithm with real off-the-shelf robots. I then focused on making the product affordable. I tested many sensors and communication methods to find the most economical and efficient combination. 1. A handheld controller which utilises a radio frequency communication system to control a commercial off the shelf remote control car. In the final prototype of the controllers, I decided to use sensors like those found in mobile phones because of the cheaper manufacturing costs and because they and enables users to utilise mobile phones – which are so widely accessible – as controllers. Most RCVs use a command-based system which requires users to give a series of commands directing the RCV with specific movements: left, right, up, down, forward, backward and rotate. It requires tremendous practice to successfully command RCVs in 3D space. Users need to know the orientation of the RCV at all time to calculate the correct movement; eg. pressing ‘Left’ may send the RCV to the right if it is facing opposite of you. Trik is different; it automates RCVs’ movements. The user only needs to specify the destination; doesn’t need to concern about the RCV position. Trik’s system calculates the most efficient routes and automatically moves the RCV to the destination. Because most of the work is done by Trik’s system, a user requires little training to start using RCVs.